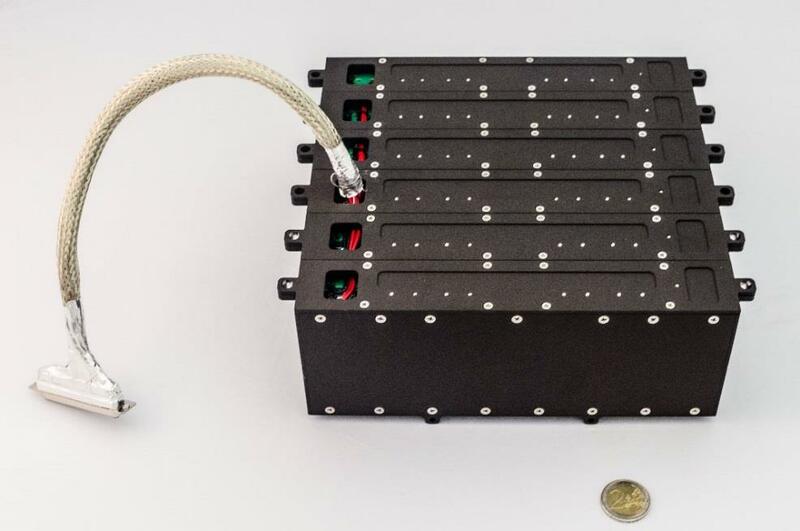 The BST BAT-100 is a modular battery system for small satellites. It is based on Lithium-Ferrite (Li-Fe) cells. The BST’s Li-Fe battery technology offers 10x more cycle over Li-Io or Li-Po batteries and is significantly less hazardous. The battery block is protected for over charging (non-destructive), tolerant against deep discharge (non-destructive) and offers cell balancing. It is space proven and has a design life of 5 years lifetime in LEO.